Kevin McNeely | Browdy and Neimark, P.L.L.C. Mr. McNeely has more than 20 years of experience serving clients in a variety of counseling roles. 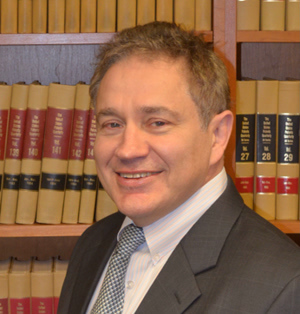 In the Master of Laws program at NYU School of Law, Mr. McNeely focused on patent, trademark, copyright and related intellectual property course work. Mr. McNeely’s patent prosecution docket emphasizes electrical and mechanical equipment, computer hardware and software, Internet applications, business methods and other technologies. He has experience handling international patent applications under the Patent Cooperation Treaty and also advises clients on trademarks, licensing, contracts and IP litigation matters. Mr. McNeely has been a speaker at conferences on issues related to U.S. intellectual property law in Beijing and Shanghai, China and Osaka, Japan. In the past, Mr. McNeely served as adjunct faculty at Northeastern University teaching Internet, telecommunications and intellectual property law and he was also the monthly technology law columnist for the Providence Business News.